As in recent years, our Annual Reunion and AGM was held alongside the GBA Annual Reunion at the RMA Sandhurst. Because Old College was being used for for a course passing-out that day, after the service in the Academy’s Memorial Chapel we walked to New College for the GBA pre-lunch drinks and lunch. As soon as Chairman GBA had finished his post-lunch speech the twenty-four of us on the 6 GR table escaped upstairs to hold our AGM. This was followed by tea and our ‘Reunion’ in another ante-room. Being our 200th Anniversary this was rather special. 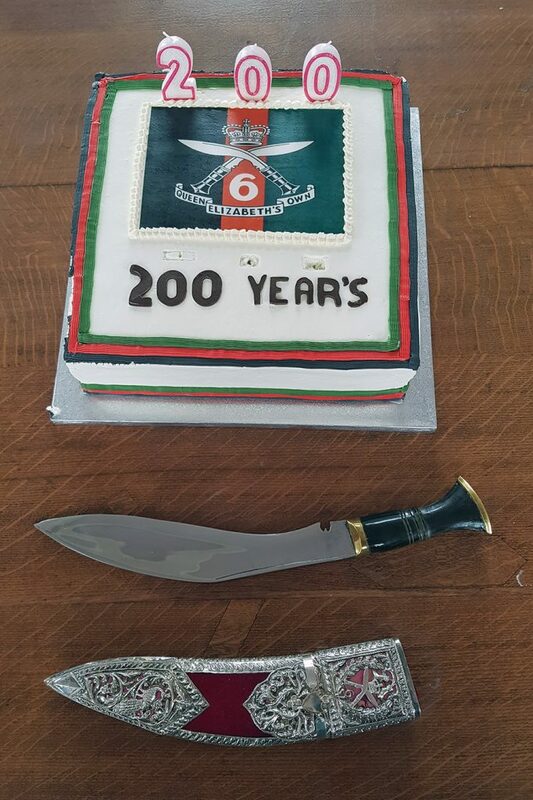 Mani had arranged an excellent 200th birthday cake. 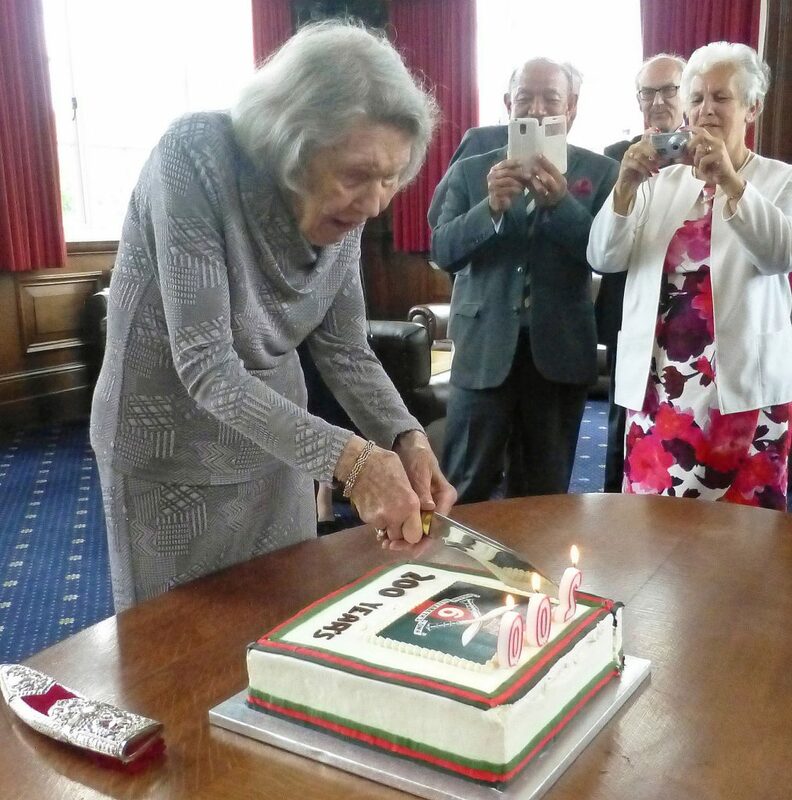 Helen Hickey, our senior member present, was invited to blow out the candles and cut the cake with a smart kothimora kukri. 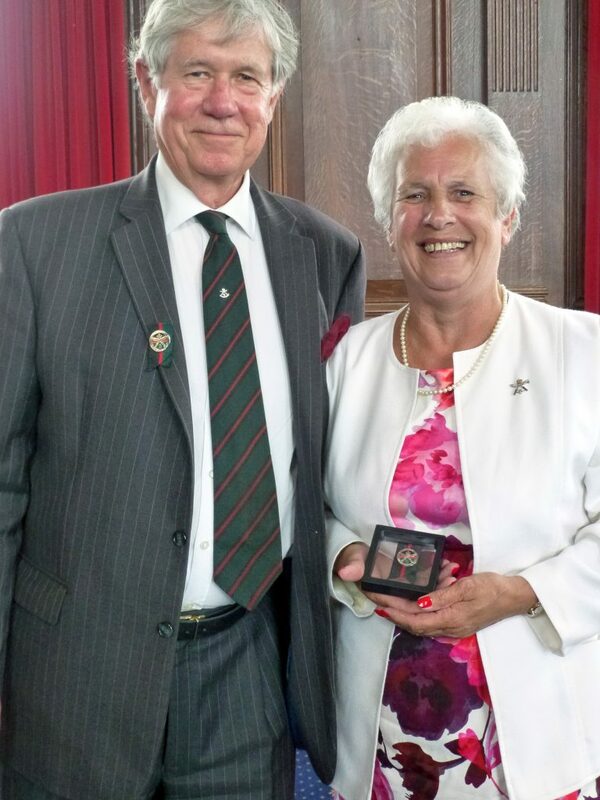 Brigadier John Anderson, our President, then presented 200th Anniversary badges to Helen and Carol Horsford, as widows of former distinguished officers, plus one or two other former officers.